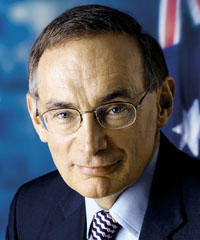 NSW Premier Bob Carr announced his retirement from NSW politics today after a long and industrious career. Mr. Carr has also announced that he has no plans to continue into federal politics. I have always seen Bob Carr as being a sensible and level headed man, a man of integrity and morals, a gentleman and a leader, and a man of great intellect. New South Wales will be poorer without this great man as premier, and as much as I would like to think it will run smoothly without him, I very much doubt it. One of his ministers is likely to take over as premier, which will be interesting, and perhaps finally prove that City Rail isn’t Mr. Carr’s fault. If Mr. Carr does stay out of Federal politics I think it will be a great loss. I would have liked to see him as Prime Minister one day, unfortunately it appears that will not be the case. Regardless of what Bob Carr does, he has lead a very full, interesting, rewarding, challenging and hopefully enjoyable career and deserves to be able to choose his own terms of retirement. To survive as long as he has in politics and then to be able to make up your own mind about when to call it a day is an incredible achievement, and one that he definitely deserves. The Honourable Bob Carr receives a very special award which is rarely presented. Mr. Carr, you receive “The Samuel Salute”. Congratulations on your many fine achievements, and may your retirement be as fulfilling and rewarding as your incredible career has been. Last night I explained how Patchwork Art works, and said I should create a diagram, well, I have. Firstly a warning, this is a very long and colourful post, the blog continues if you scroll past it. This post renders with large gaps in Internet Explorer, use Firefox instead. This is possibly the most important step as it lays out the framework for the picture. This step places the colours in the order which you will use them. In my case it is a matter of randomising twelve colour pencils. It is up to you how many lines there are and how you space them, I recommend having at least four vertical and four horizontal lines. 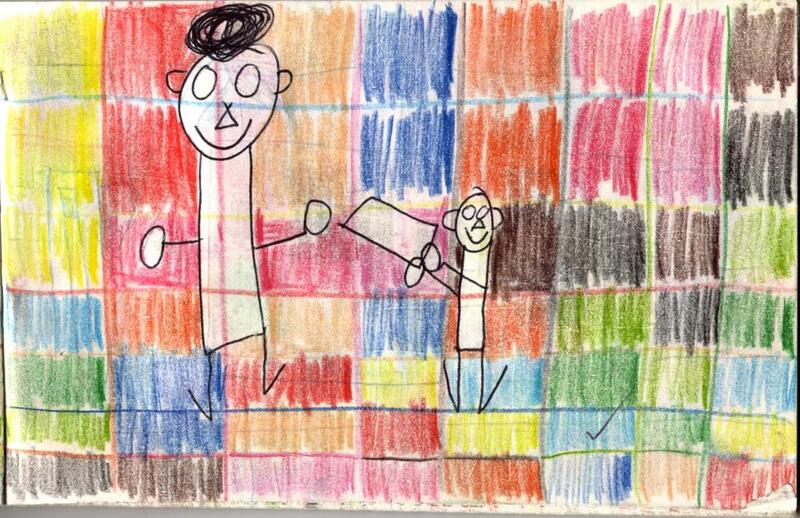 It is preferable that they are not evenly spaced and that you have a different number of vertical and horizontal lines. The lines must be drawn in the Colour Draw order. This continues the Colour Draw order of colours. Again we continue with the Colour Draw order of colours. Filling the grid squares (even though they aren’t square) is done clockwise. The black has intercepted a line of its own colour and is allowed to cross the line, this is called a spread. The light blue has also intercepted a line of its own colour, and we have another spread. Now it is time to colour in the objects. With larger objects such as tables you should follow steps Three, Four & Five on the objects, but with smaller objects, or in places where it doesn’t seem appropriate, you may choose to draw a single colour or do some kind of pattern. Whatever you do, you must continue to follow the order of colours from the Colour Draw. Once you have done that you will have a completed piece of Patchwork Art. As per usual, clicking on the picture will show a larger version. These pictures are not on the Photo Gallery. And now for today’s episode of Samuel In Dolgnwot. In this Episode you can see Samuel doing his shopping. It was a requirement of the Gold Game that we spent half a day, once a week, shopping. In this picture it is quite clear that the pencil lines were drawn before they people were. If you look closely you can see the teacher has left a tick on the page, which is actually a bit suprising considering what happens in tommorow’s double image special of Samuel In Dolgnwot.